Jointly built by Shenzhen University and the Longhua District Government, the institute is positioned as a fundamental research organization and is expected to have an investment of 500 million yuan (US$74.6 million) in five years. Focusing on the basic theories of computing sciences featuring big data, the institute aims to develop core system software and China-created software brands. Fan Wenfei, a globally recognized professor in the field of database theory and systems, will lead a top international team in addressing the issues that China is currently facing in this regard, which include a lack of innovation in theoretical research on computing and a dependency on foreign basic systems. 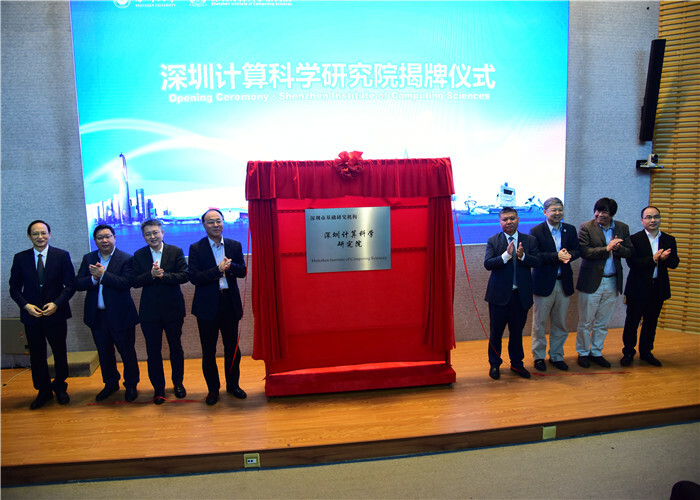 Wang Lixin, vice mayor of Shenzhen, delivered a speech at the inauguration ceremony. “Shenzhen believes in the power of innovation and has been practicing innovation-driven concepts. The scale of the electronic and information industry in Shenzhen last year reached 2,100 billion yuan, accounting for one sixth of the country’s total,” said Wang. Chen Jianming, vice head with Longhua District, explained that Longhua has been working on building a technology innovation system featuring close connections between enterprises, research institutes and universities. “The construction of the institute signifies a new move for Longhua in terms of technological innovation. We will provide resources, such as talents and funds, to support its development,” added Chen. Although the institute has only been established for around two months, it has already made an array of outstanding achievements. In terms of academics, it has published two theses on VLDB, one of the top databases on academic meetings, and another two on TODS. Tusholdings and Institute of Software Chinese Academy of Sciences signed a cooperation agreement with the institute after the ceremony. Cooperation with other enterprises, such as Huawei, is also in progress.